Malta has been the preferred location for many famous films and TV series over the years from Popeye with the late Robin Williams to the hit TV series Game of Thrones. 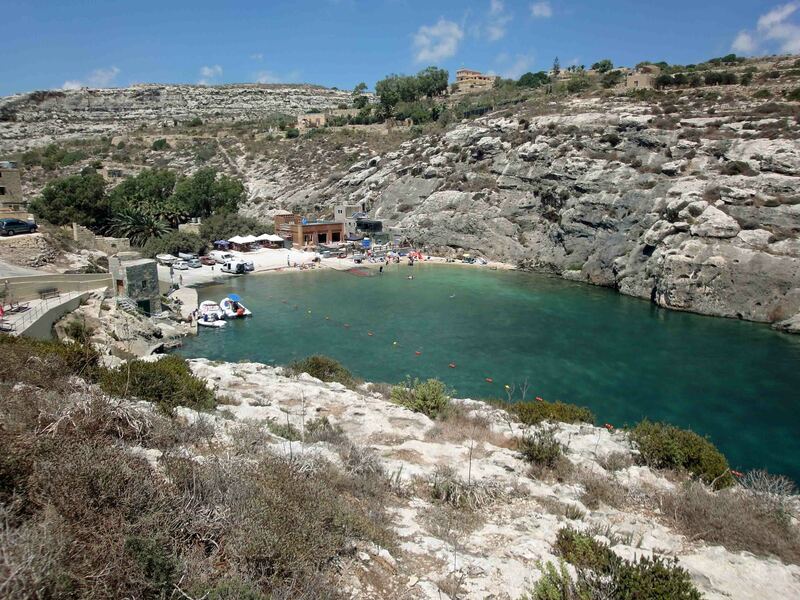 Hollywood’s most glamourous couple Brad Pitt and Angelina Jolie made headlines a couple of years ago when they chose the fjord-like beach at Mgarr ix-Xini and the Gozitan village of Sannat as the prime locations to shoot their movie By the Sea. But they were only the latest in a long list of film makers to choose the Maltese islands as a backdrop. Malta and Gozo have in fact featured in over a hundred international films and the islands’ diverse scenery has doubled up for some twenty different countries: Croatia, the coast of Mexico, Beirut in the sixties, 19th century France and Cyprus among others. Pitt himself had previously worked in Malta. In 2004 he starred in Troy, an epic war film in which Comino’s Blue Lagoon and locations around Mellieha doubled up as ancient Greek sites. In 2013 Pitt co-produced World War Z – an apocalyptic action horror film in which parts of lower Valletta were featured. Tom Hanks was in Malta in 2012 when he starred in Captain Philips. When not on shooting duties Hanks loved walking the Sliema front incognito with baseball cap and sunglasses and was appreciative of the fact that paparazzi are not a feature of the Islands. Steven Spielberg directed Munich in 2005. The movie was about the Isreali revenge for the killing of its athletes at the 1972 Munich Olympics. Eric Bana, Daniel Craig and Geoffrey Rush were among the stars in this drama. Valletta, Sliema, Marsaxlokk and Cospicua doubled as locations in the Middle East and Cyprus, and in one scene a Bugibba hotel was actually ‘blown up’ too. Pop diva Madonna starred in the romantic comedy Swept Away in 2002, directed by her (then) husband Guy Ritchie. Unlike most of Madonna’s other ventures, this movie flopped. The Blue Lagoon and the sumptuous Xara Palace Hotel in Mdina were among the shooting locations. Also in 2002 Kevin Reynolds directed The Count of Monte Cristo – an adventure film based on Alexandre Dumas’ famed novel. Again Comino featured heavily in the film with St.Mary’s tower doubling up as the Chateau d’if and the Birgu Waterfront standing in for 19th century Marseilles. The film achieved modest success at the box office and starred Jim Caviezel, Guy Pearce and Richard Harris. One Malta made film which was a definite blockbuster was Ridley Scott’s Gladiator in 2000. The film, an epic historical drama, had a solid cast of stars including Russell Crowe in the main role, Joaquin Phoenix , and Oliver Reed. It won multiple awards, notably five Academy Awards including Best Picture and Best Actor for Crowe. A number of film sets were purposely built in Fort Ricasoli for the film and Russell Crowe famously fought tigers in the computer generated arena within the fort. The movie was not without its slice of tragedy though. Oliver Reed collapsed and died in a Valletta pub while on a break from filming on the 2nd of May 1999. Several of his scenes had to be completed using computer-generated imagery (CGI) techniques. Another 2017 blockbuster movie, Assisasins Creed, based on the game franchise was filmed in Malta using the scenic and hostoric backdrop of places such as Valletta and Mdina re-creating the setting of 15th century Spain during the Spanish Inquisition. But perhaps the movie which will always be associated with Malta remains the 1980 musical comedy Popeye. Directed by Robert Altman and starring Shelley Duvall and the late Robin Williams, it received mixed reviews but was ultimately a box office flop. 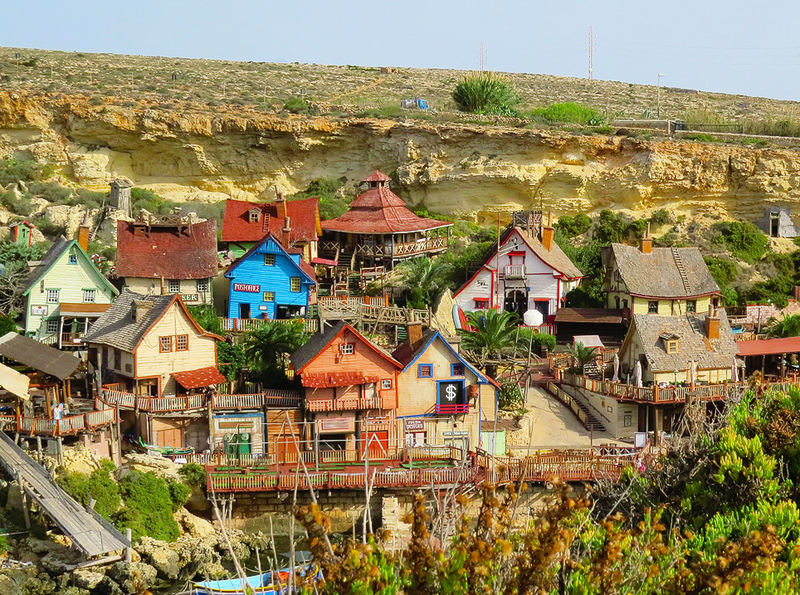 In true Maltese entrepreneurial spirit however, the set of Sweethaven Village at Anchor Bay was never pulled down and surprisingly remains one of the top tourist draws in the islands. 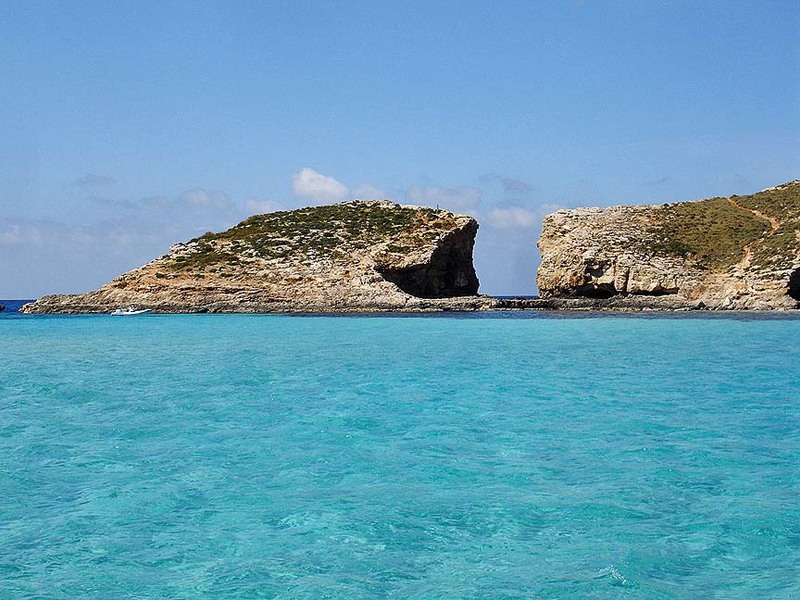 Check out our Blog on Game of Thrones locations in Malta here.